Myriad Genetics Inc., a designer of genetics-based diagnostics in Salt Lake City, will acquire Crescendo Bioscience in South San Francisco, California, a developer of molecular blood tests for autoimmune diseases, particularly rheumatoid arthritis. Myriad is paying $270 million in cash, which includes repayment of an outstanding $25 million loan to Crescendo. Crescendo Bioscience, founded in 2002, designs blood tests for rheumatoid arthritis, an autoimmune disease that leads to inflammation of joints (wrists, fingers, feet, and ankles) and surrounding tissue. An autoimmune disease is one where the immune system is tricked into attacking healthy cells. Rheumatoid arthritis is estimated to affect 1.3 million people in the U.S., making it the most prevalent autoimmune disease. While the rate of occurrence is declining, the disorder occurs in twice as many women as men. 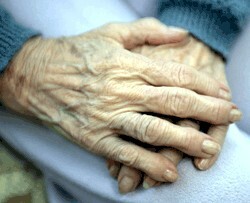 If caught and treated early, patients can delay destruction of joints that can result from rheumatoid arthritis. Crescendo’s lead product is Vectra DA, a blood test that assesses 12 proteins that serve as indicators of disease activity. The 12 scores are then aggregated into a single composite score, translated into low, moderate, or high activity. Crescendo says frequent measurement of disease activity can help patients and health care providers manage the disease, which can lead to better outcomes, including reduced joint damage, and remission of the disease. The individualized disease activity scores can also help design personalized treatments and therapies for the patient. In the last quarter of 2013, Crescendo says it processed some 27,000 patient samples. The company says its technology can be applied to other autoimmune diseases, including psoriatic arthritis and systemic lupus erythematosus (lupus). This feature of Crescendo’s technology appears to be a major factor in Myriad’s decision to acquire the company, where molecular diagnostics, when applied to a range of disorders, can guide a patient’s risk assessment, diagnosis, and selection of therapies. Myriad says Crescendo will retain its name and continue as a subsidiary of the company. Nonetheless, Myriad foresees synergies with its Myriad RBM biomarker discovery platform that makes possible personalized disease assessments based on blood tests of protein disease indicators.